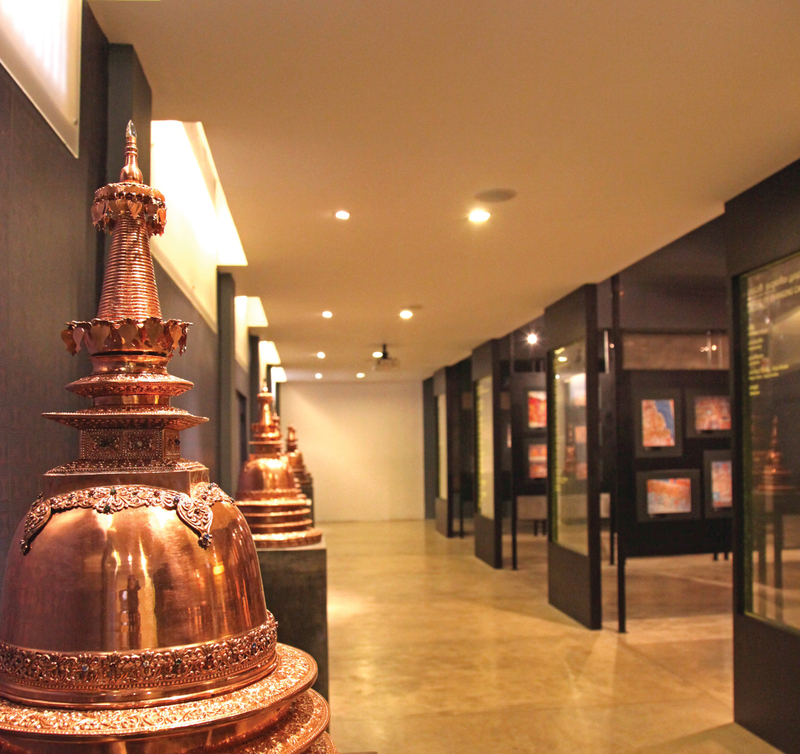 Further adding to the Temple’s many unique facets the new Gallery was opened by President Mahinda Rajapaksa in March 2011. 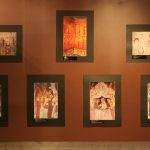 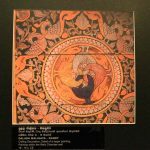 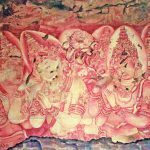 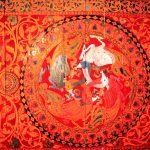 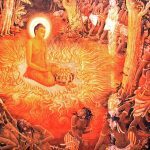 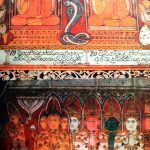 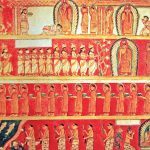 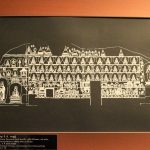 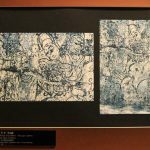 This photo gallery of Buddhist paintings at the Gangarayama Temple is a valuable resource for art lovers. 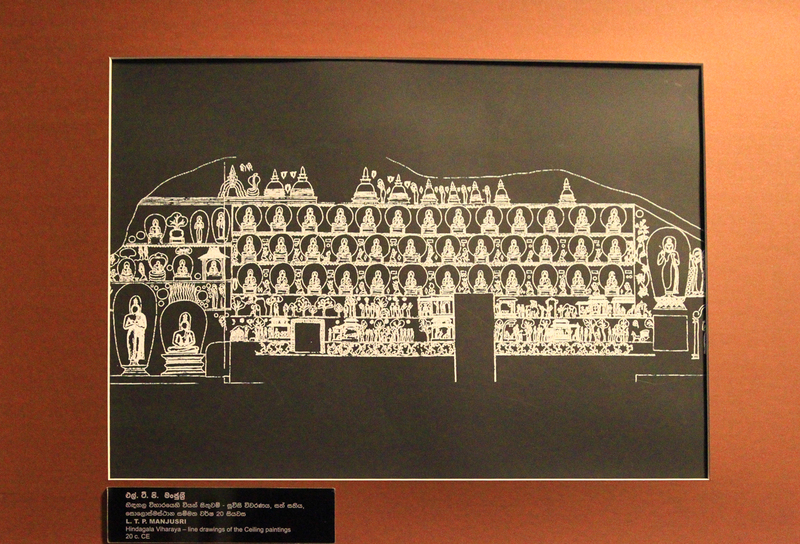 Mrs Moosajee and its architectural design was by Prof Sadev Wittachy. 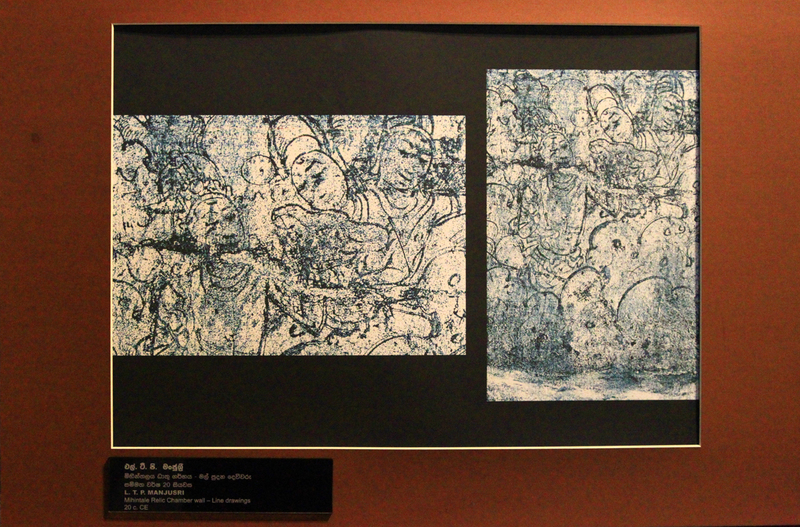 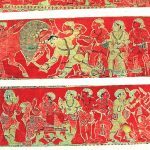 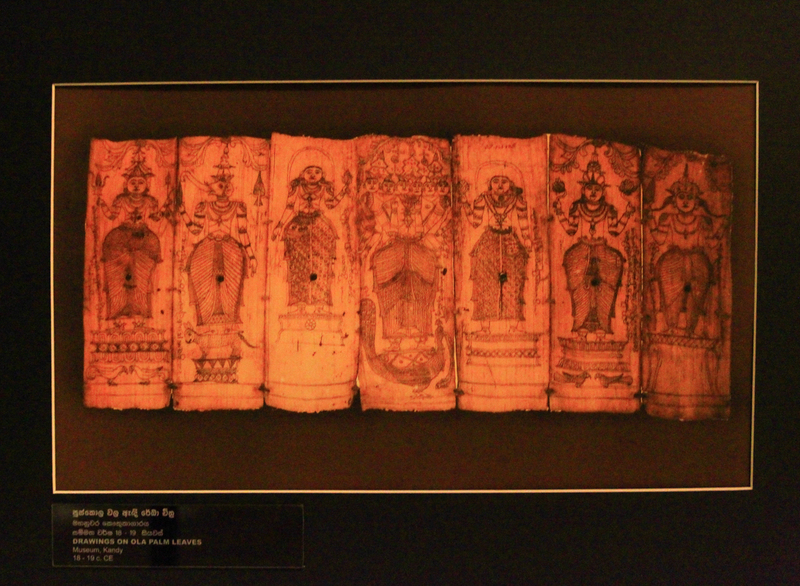 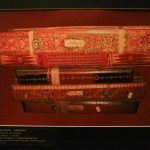 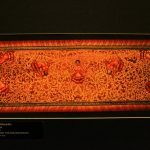 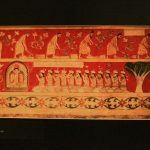 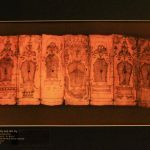 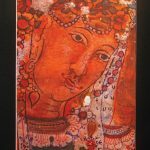 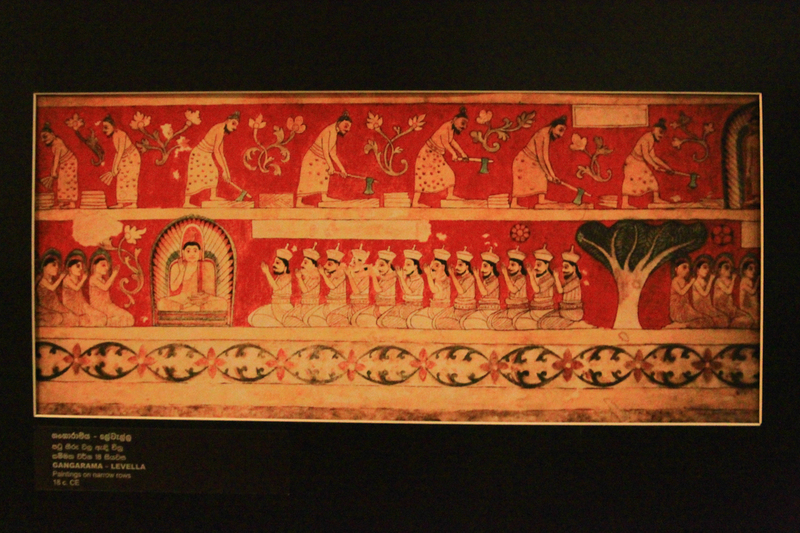 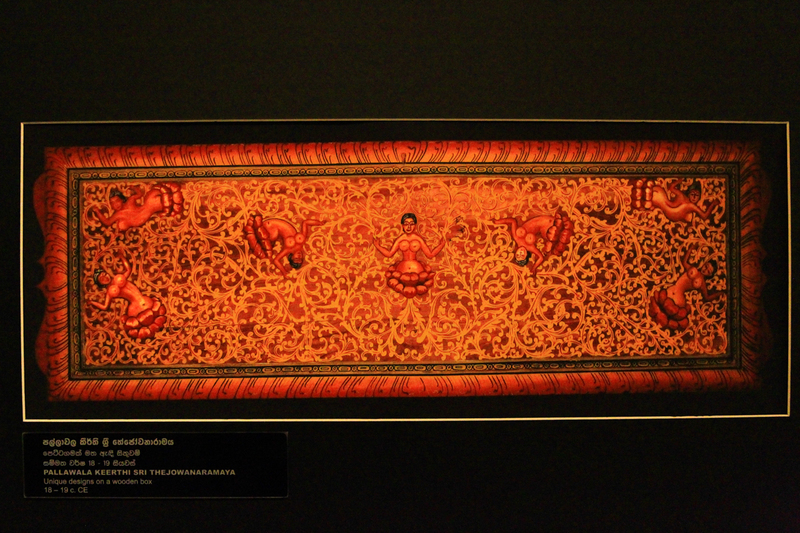 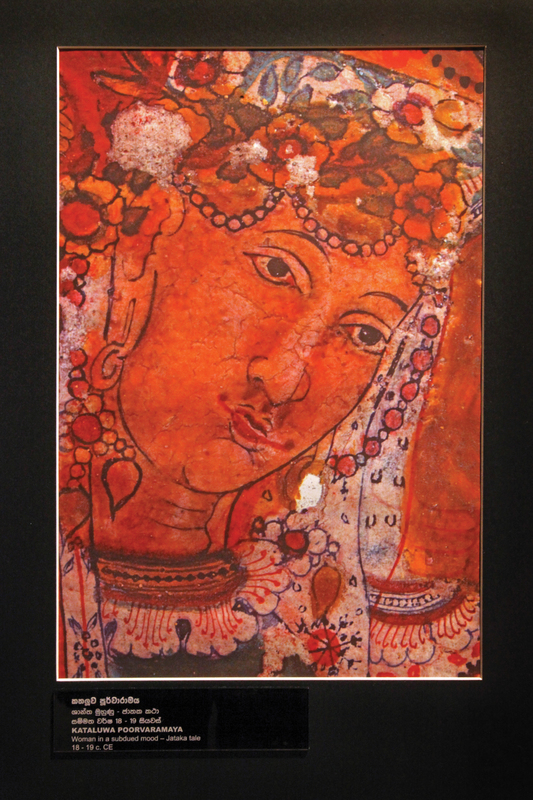 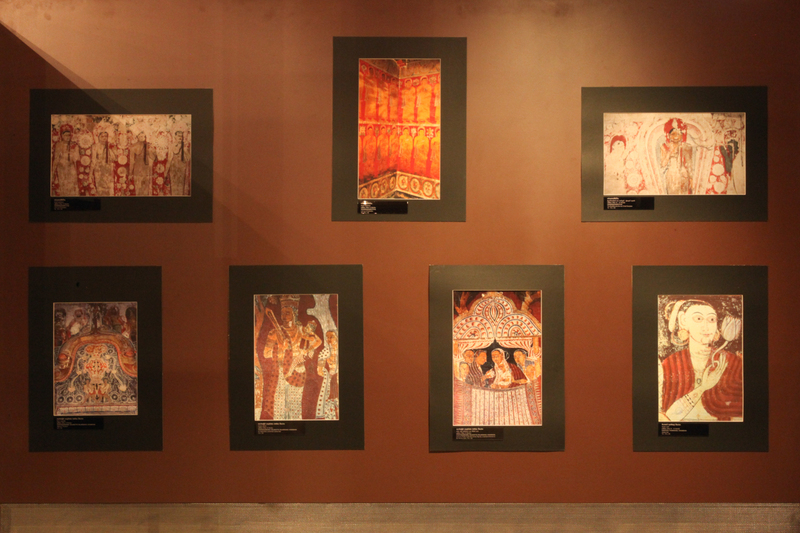 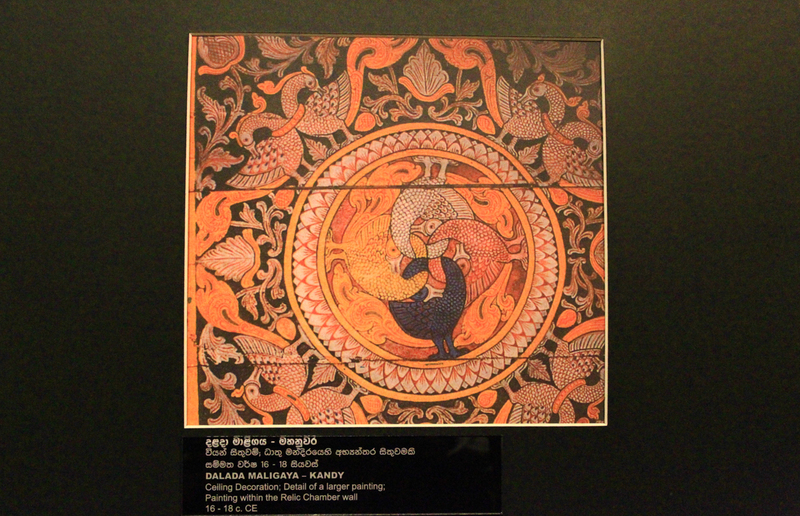 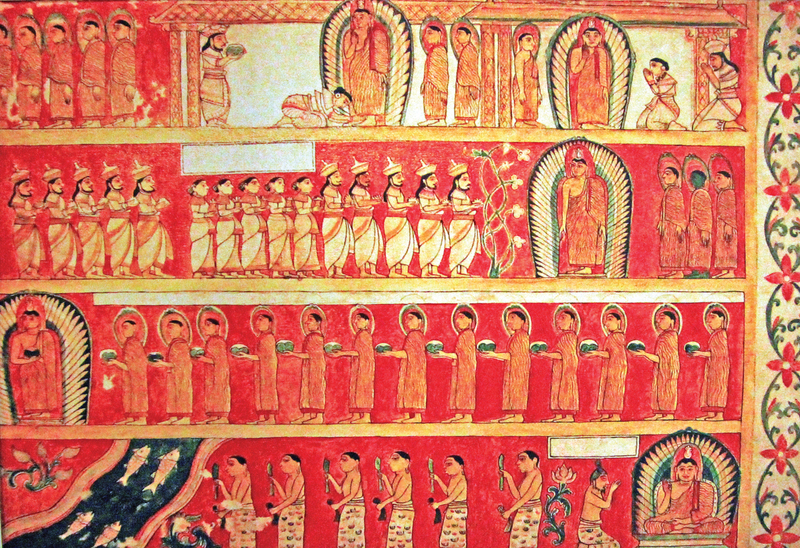 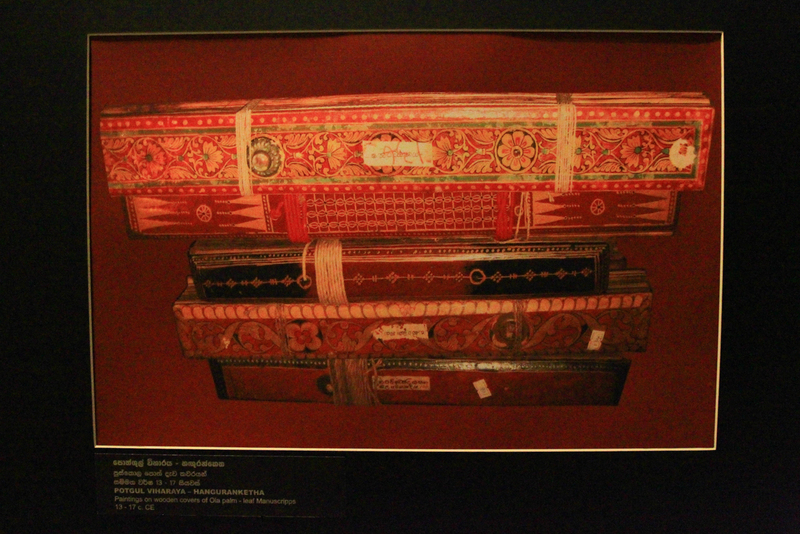 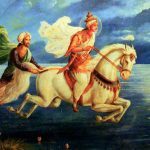 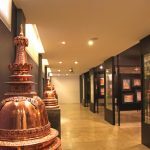 The collection itself was developed over a period of 45 years by Dr Hewapathirane showcasing pictures of Buddhist paintings at cultural and religious sites around the country. 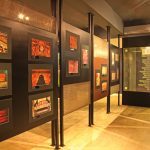 The art gallery is so designed that from the moment of entry the visitor walks through chronologically arranged historical periods of the country. 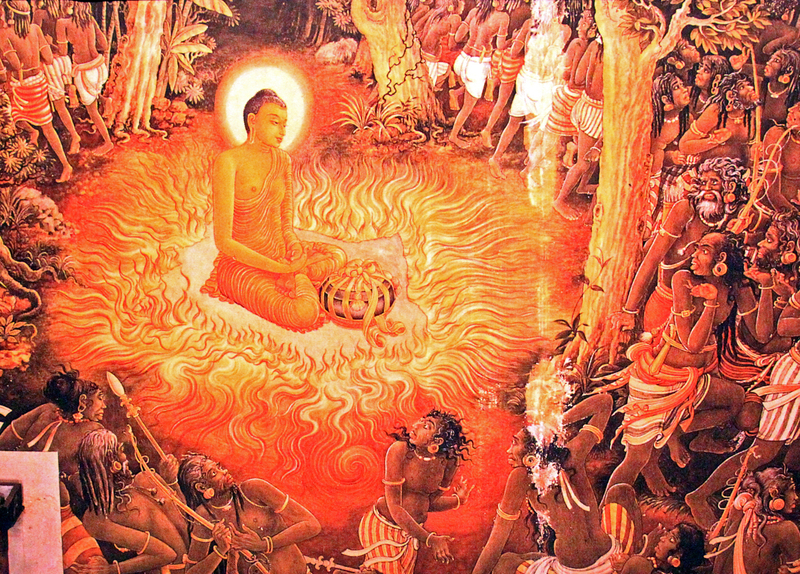 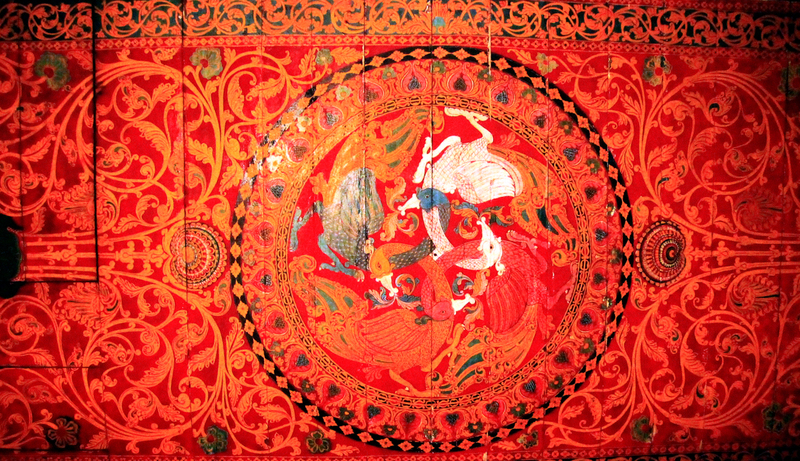 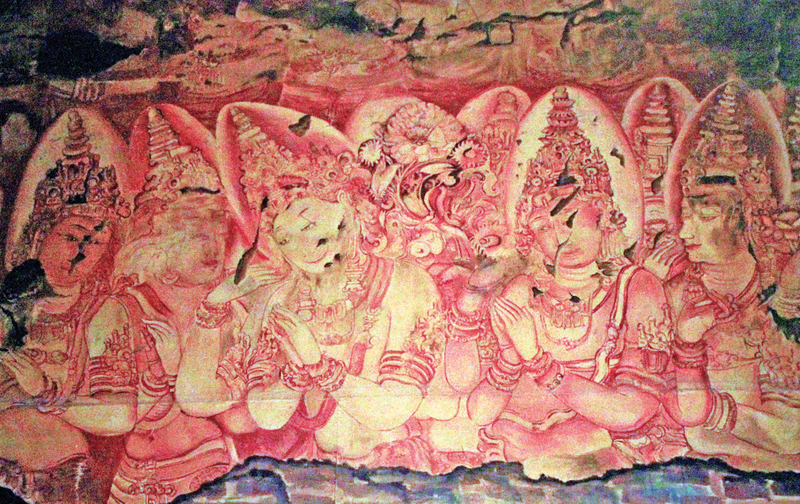 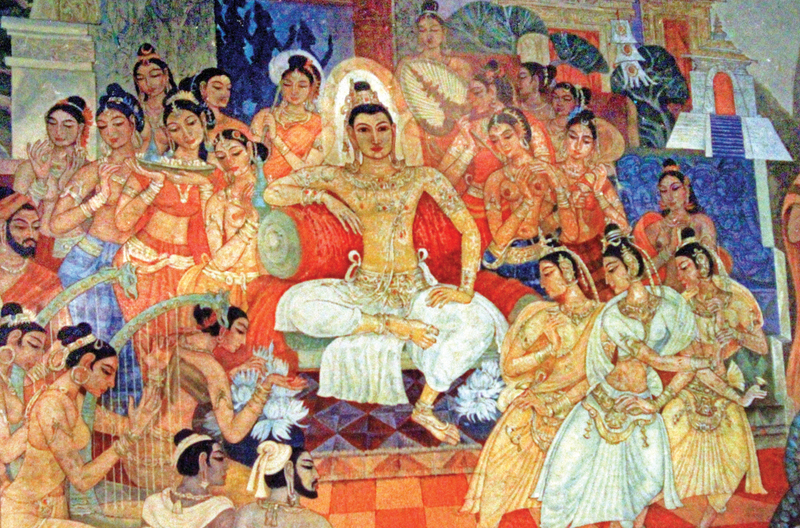 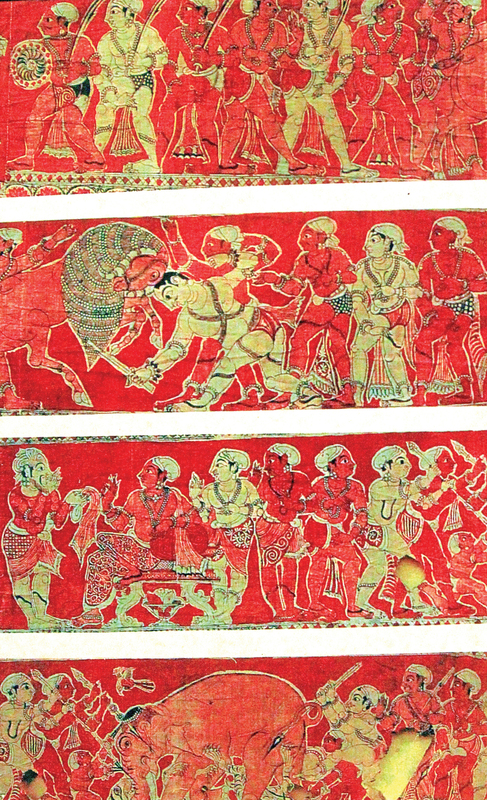 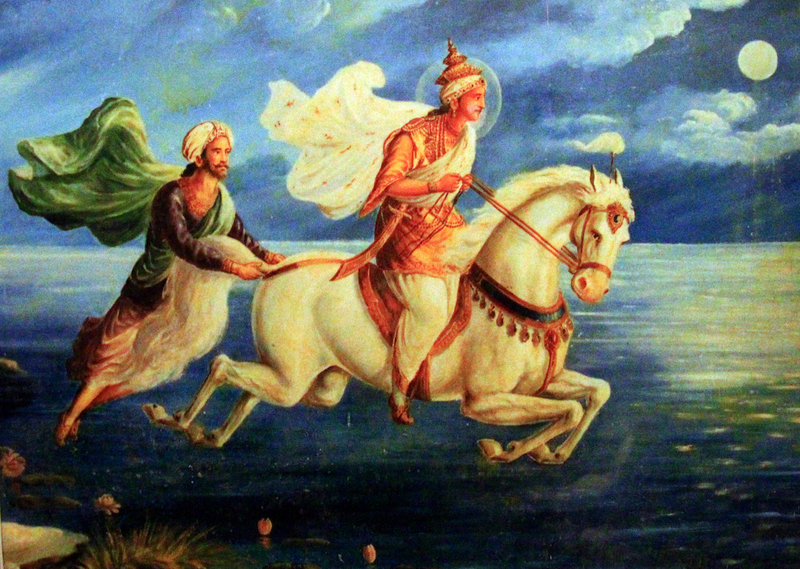 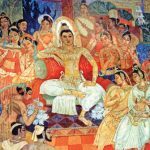 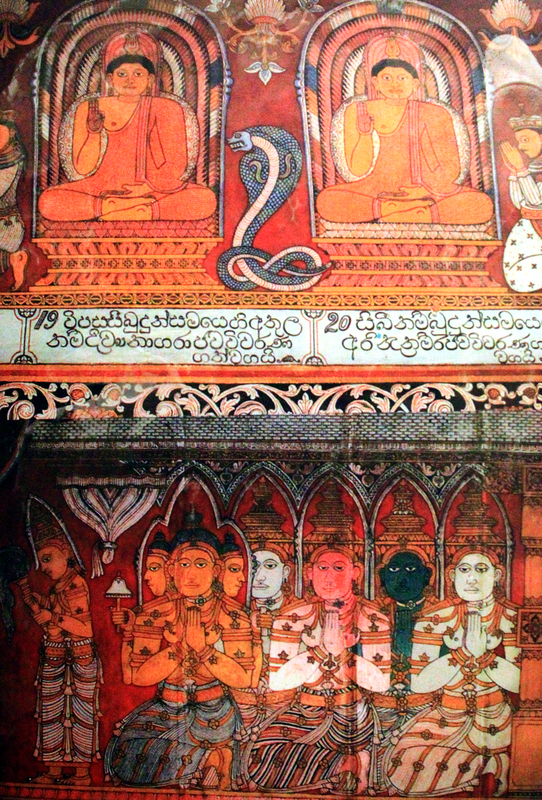 The sequence begins with the Classical Period –3rd century BC until the 13th century CE (a period of 1600 years), then the period of changing capitals that spans 450 years followed by the Kandy Period that saw a revival of Buddhist art and lastly the Modern Period where art from present day temples, Kelaniya Raja Maha Viharaya, Bellanwila Viharaya and Gotami Viharaya are displayed. 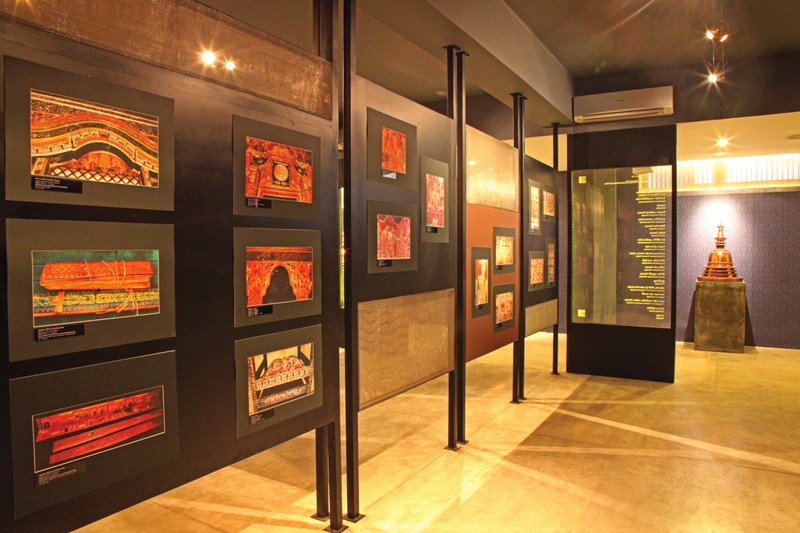 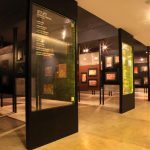 The art gallery is for visitors to learn and to leave more knowledgeable about the country’s history and inspire them to travel to the featured places and discover for themselves, the ancient paintings preserved to this day. 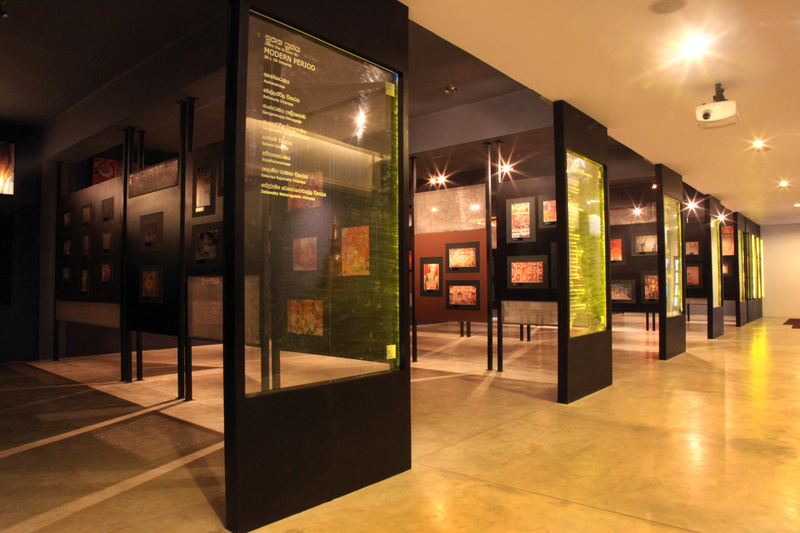 Thus in future the art gallery hopes to provide visitors with headphones so that they may listen to a narration on the individual photo images as they walk through.